While a popular method used in the manufacturing industry, deep draw is very complex and requires a great deal of expertise. 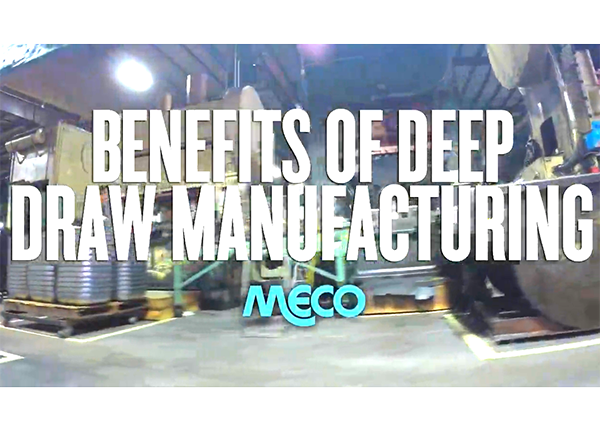 There are many benefits to using Deep Draw, but it’s important to choose the right contract manufacturer. Deep drawing is a manufacturing process that forms flat sheet metal blanks into the three-dimensional shape of the punch using the mechanical action of the punch drawing the metal past a die ring to take the shape of the punch. The process of deep draw creates a stronger net shape at a lower cost due to reduced waste and can also lead to lower assembly costs. Deep draw can produce precise parts, is very repeatable, and may also be more cost effective than machining, die casting, or metal injection molding. 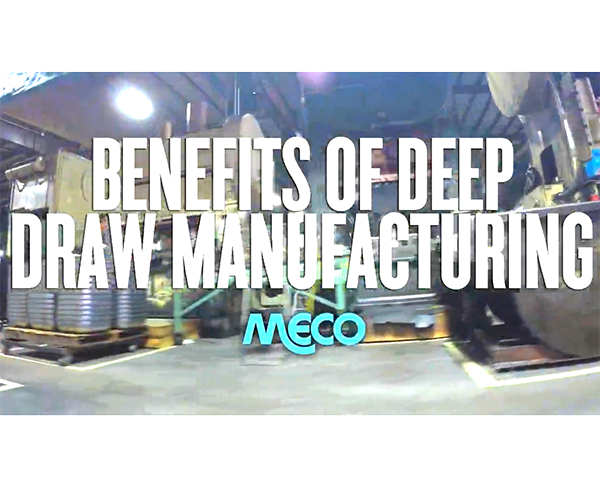 Watch our video for a detailed description of the deep draw process from Robert Vlcek, manufacturing engineer with Meco. When choosing a contract manufacturer for its deep draw capabilities, it is crucial that you choose a company that is well versed in the process and has had proven success. Often, deep draw is offered as a specialty service so if your needs also require stamping, forming or other processes, it is important to choose a contract manufacturer that is vertically integrated and can provide you a full range of options. With more than 55 years of manufacturing experience at our production facility, Meco is a one-stop shop for your manufacturing needs. Our deep draw offerings include Verson, Toledo, Clearing, and Shuler Presses that range from 300 to 600 tons. Our draw range processes are anywhere from 1 to 10 inches and our bed length can accommodate anything up to 132 inches. If you’re seeking a cost effective, highly customized option for metal fabrication, that also offers many other benefits, we’d love to talk to you about how deep draw might be the solution.